Jemima Kirke is a British-born actress and artist. She is the daughter of Lorraine (Dellal) and musician Simon Kirke. Her father has English and Scottish ancestry. Her mother is of half Iraqi Jewish and half Ashkenazi Jewish descent. She is the sister of actress Lola Kirke and singer Domino Kirke (Domino is married to actor Penn Badgley). Model Alice Dellal and art dealer Alex Dellal are her cousins. Her maternal grandfather was property investor Jack Dellal. Jemima has two children with her husband, lawyer Michael Mosberg (Michael is also Jewish). Jemima’s paternal grandfather was Vivian Percy Ughtred Kirke (the son of Percy St George Kirke and Alice Gertrude Gibson-Craig). Vivian was born in Pancras, London, England. Jemima’s great-grandfather Percy was the son of St. George Mervyn Kirke and Sarah Elizabeth Werge Howey. Alice was born in Riccarton, Midlothian, Scotland, the daughter of James Henry Gibson-Craig, 3rd Bart of Riccarton, and of Julia Buchanan. Jemima’s paternal grandmother is named Olive May Pollard. Jemima’s maternal grandfather was Jack Dellal (the son of Salomon/Selman Dellal and Charlotte Salha Shashoua/Shashona). Jack was born in Chorlton, Lancashire, England, to Iraqi Jewish parents, who were born in Baghdad. Salomon was the son of Aboudi Dellal and Emy Rahma Elbeg. Charlotte was the daughter of Jacob Shashoua and Aziza Badnani. Jemima’s maternal grandmother is Zehava Helmer. Zehava was an Israeli, and is likely of Ashkenazi Jewish descent. European, Jewish, Middle Eastern… a lot going on. Pretty. Iraqi Jews are Middle Eastern/Mizrahi right? geographically yes, but Iraqi Jews consider themselves as Sephardim following Sephardi Jewish traditions. 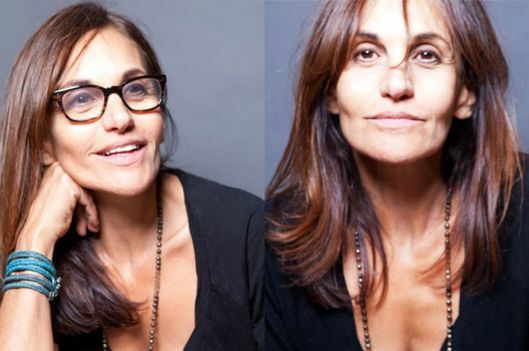 Her mother reminds me of Courteney Cox. but NOTHING REALLY NOTHING in common ! @follers is probably the farthest person on this website from being an idiot and there are a lot of very knowledgable people here. neiltennant dun goofed. watch out for that ban hammer. Whoa her mom looks like Mercedes Ruehl. I think she looks more like Katey Sagal.